Go Tech Funtab is here to battle for popularity in the budget tab field. Priced very competitively, the Tablet is able to draw a lot of attention. There are a few more models for Go Tech Tabs, all set to lure various individuals with various preferences. 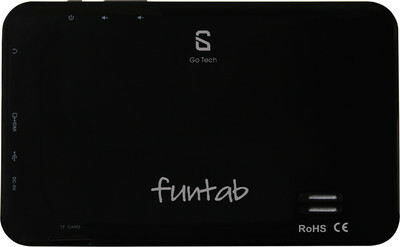 The only difference between Go Tech 7 inch and 7.1 inch Funtab is that the later comes with the HD screen, else all other specifications are just the same. Buy it online from Flipkart.